Average U.S. mortgage interest rates increased for the sixth consecutive week for the week ending December 8, 2016, according to Freddie Mac's Primary Mortgage Market Survey. The 30-year, fixed rate mortgage loan averaged 4.13 percent, with an average 0.5 point, an increase from 4.08 last week. 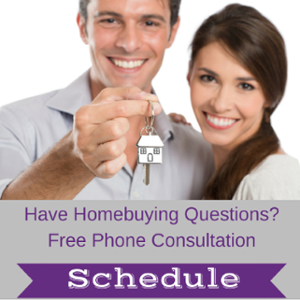 The 30-year mortgage loan averaged 3.95 percent during the same week last year. "The 10-year Treasury yield dipped this week following the release of the Job Openings and Labor Turnover Survey. The 30-year mortgage rate rose another 5 basis points to 4.13 percent, starting the month 18 basis points higher than this time last year," Sean Becketti, Freddie Mac chief economist, said. "As rates continue to climb and the year comes to a close, next week's FOMC meeting will be the talk of the town with the markets 94 percent certain of a quarter-point-rate hike." 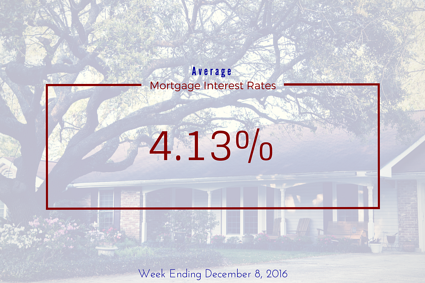 The 15-year, fixed rate average 3.36 percent, with an average 0.5 point, for the week ending December 8, 2016, an increase from 3.34 percent the previous week. The 15-year note was 3.19 percent during the same time frame in 2015. The 5-year, adjustable-rate mortgage loan averaged 3.17 percent, with an average 0.5 point, up 2 basis points from last week and 14 basis points from last year.